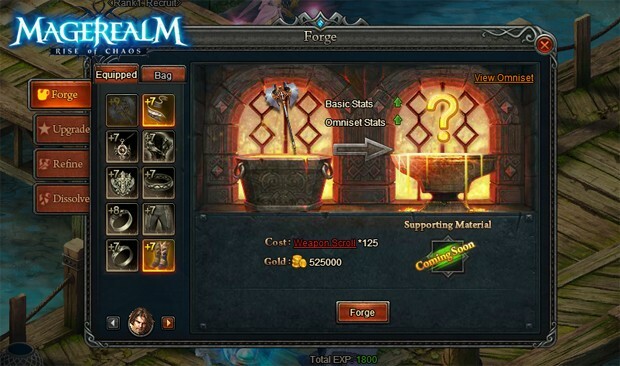 Magerealm will release a new update to the Omniset system that includes a stat overhaul and addition of a new forging material. All Omnisets have received a dramatic increase in stats and effects to more accurately reflect their rarity. Players who can obtain these great artifacts of power will find themselves empowered like never before! Scouts from the Mage Council have brought back reports that the Dragons have been spotted hoarding a new treasure in their troves. The report mentions a rare magical artifact that appears to hold immense forging properties. Mages brave enough to raid the vast treasures of the great dragons may find themselves in possession of something amazing! Previously the only way to forge equipment into Omnisets was by using special scrolls obtained from Guild War. Collecting scrolls was a difficult and slow process, so the game is introducing an alternative method to forge Omnisets: Omnistones. Players can complete the Dragon Treasure dungeon for a chance to find these powerful Omnistones. Omnistones can be used in place of scrolls for forging Omnisets, and serve as an alternative means to help players complete their Omnisets. Omnistones, like scrolls, are divided into 3 categories: Weapon, Armor, and Accessory. Weapon omnistones can be used to forge an Omniset weapon, Armor omnistones can be be used with any type of armor to produce the same type, and so forth. Players are no longer limited to scrolls and Guild War in their quest for these truly legendary artifacts. 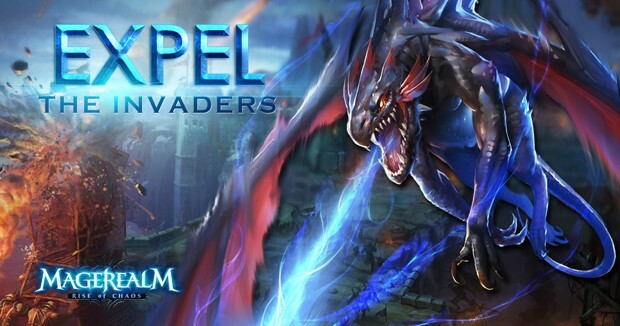 Gear up and raid the dragons for their new bounty!